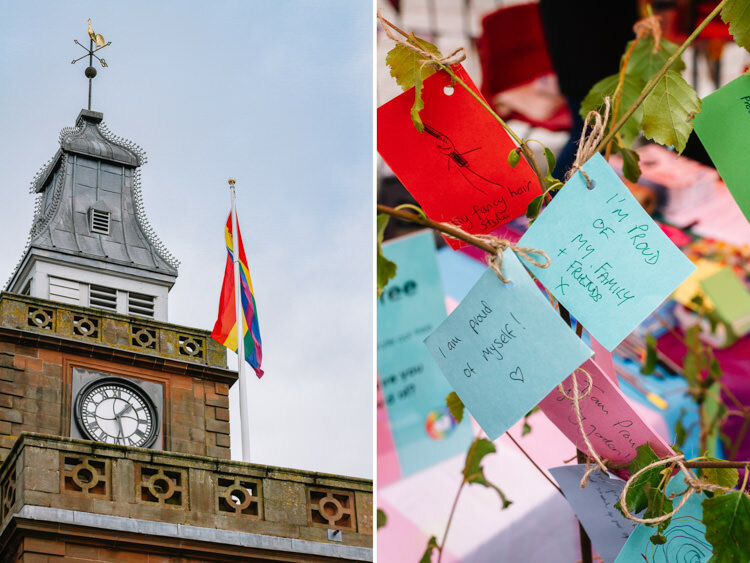 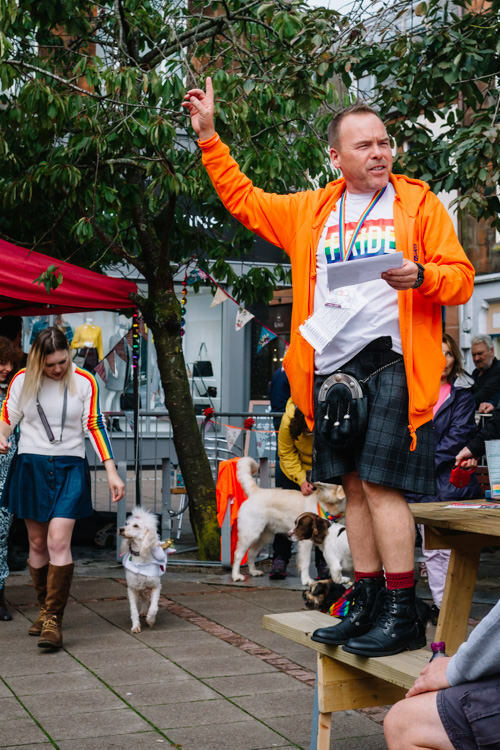 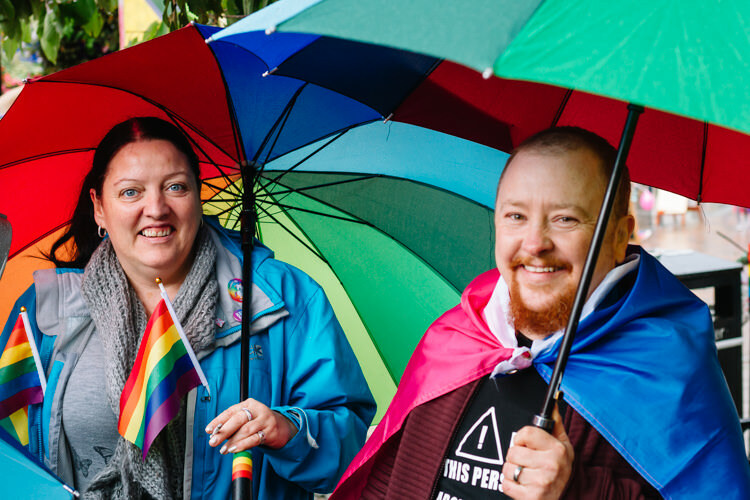 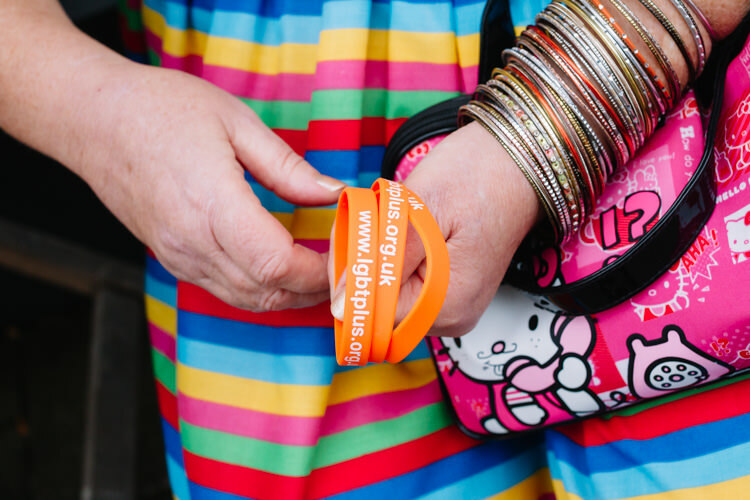 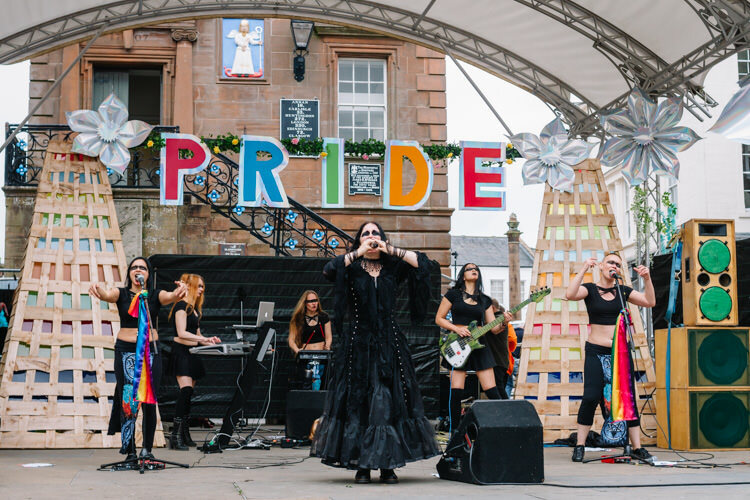 DG Pride, staged in Dumfries for the first time in ten years, delivered a powerful message of solidarity and acceptance of LGBTQ community in the region. 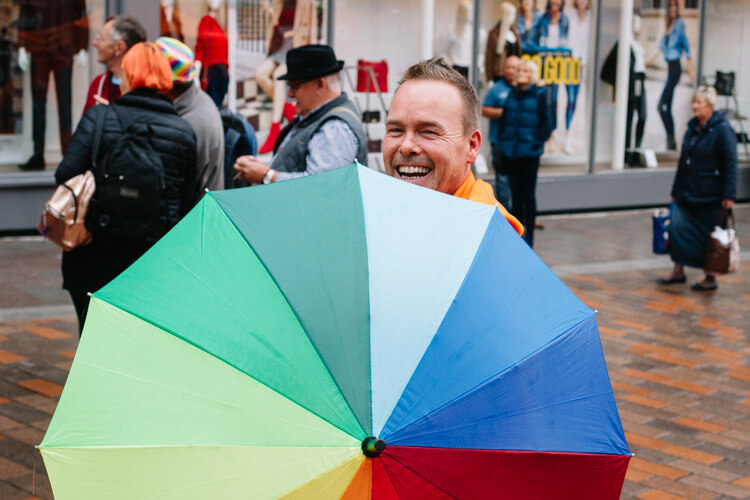 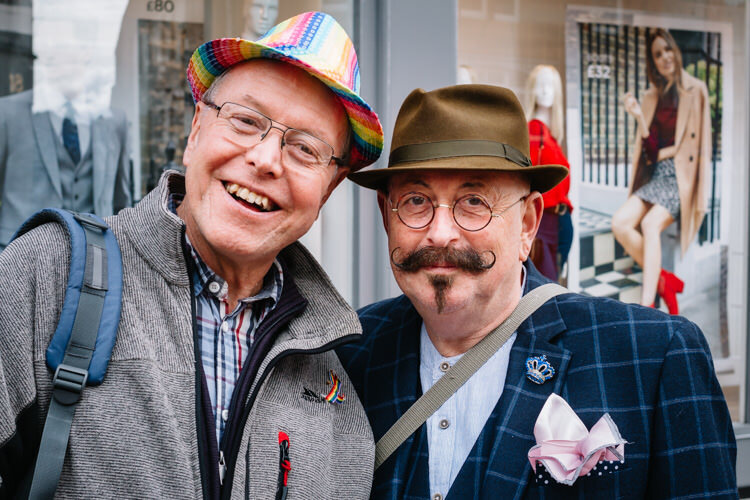 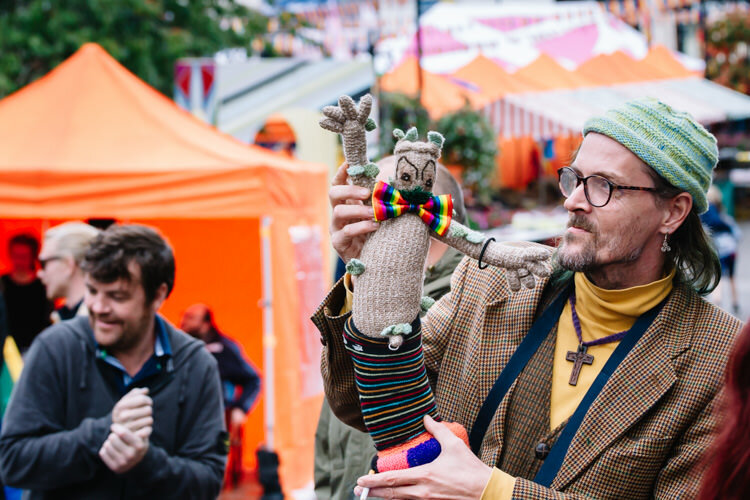 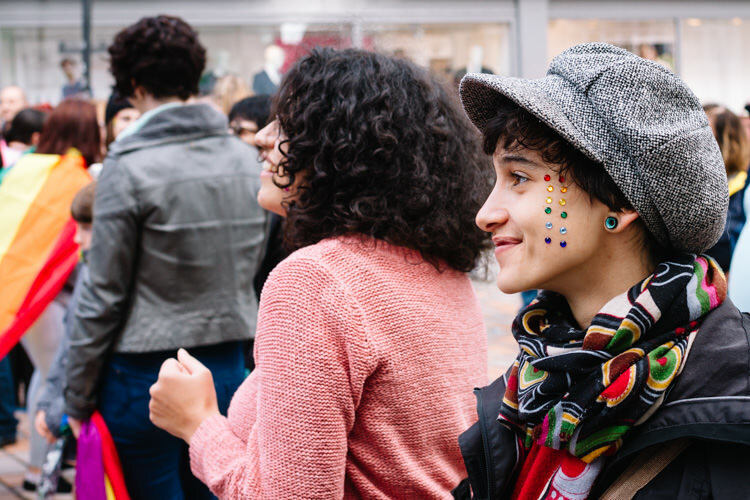 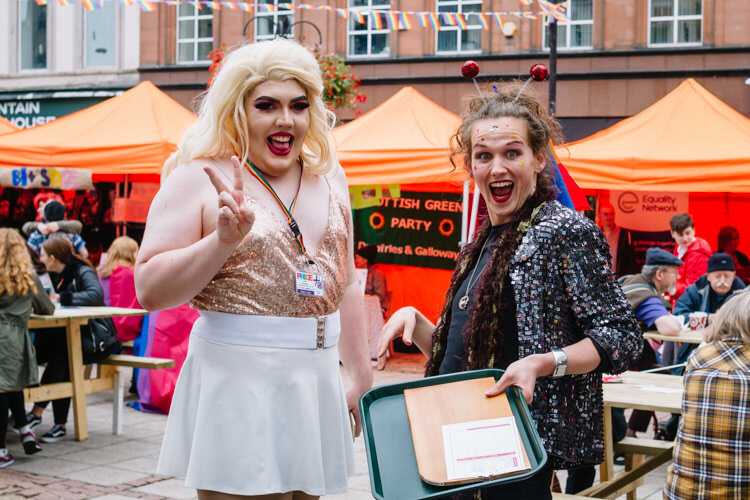 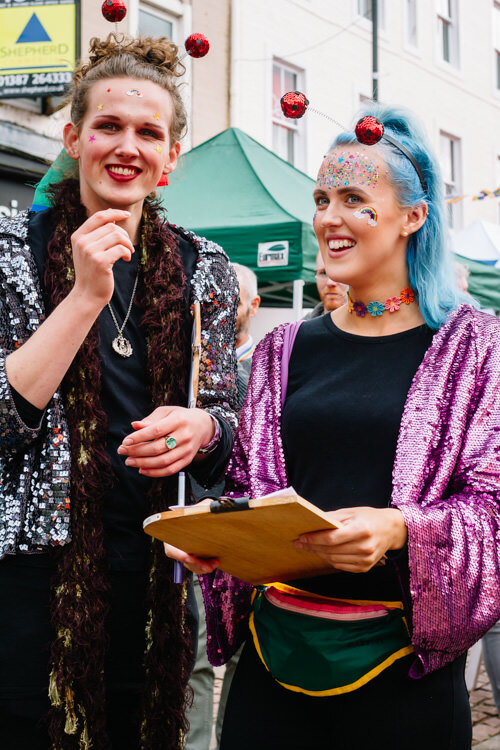 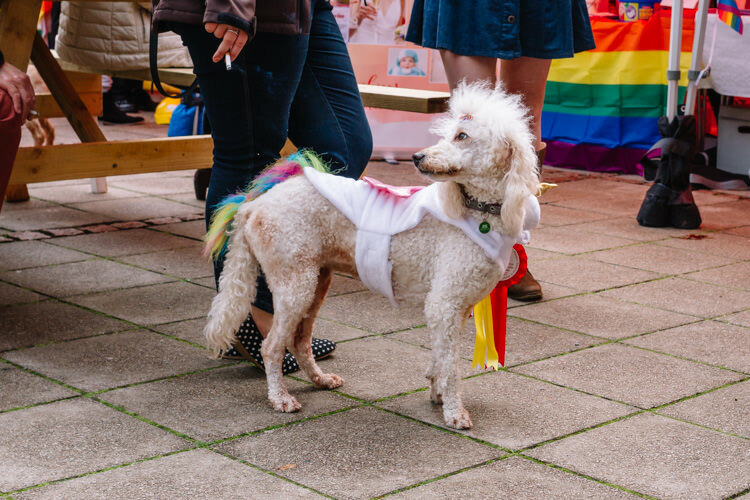 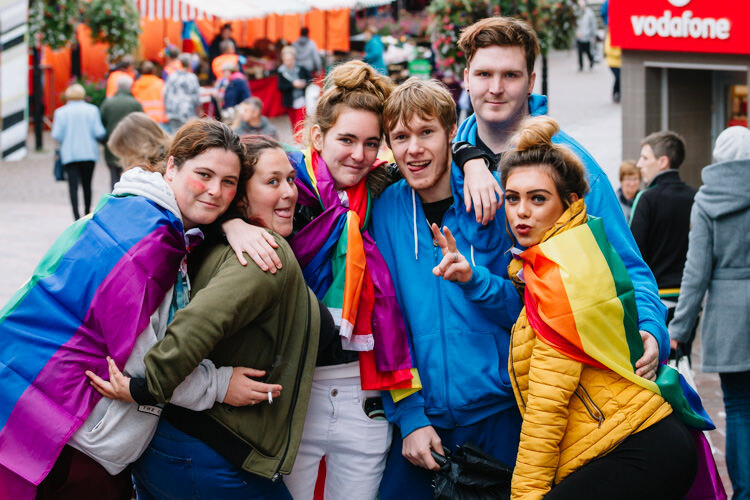 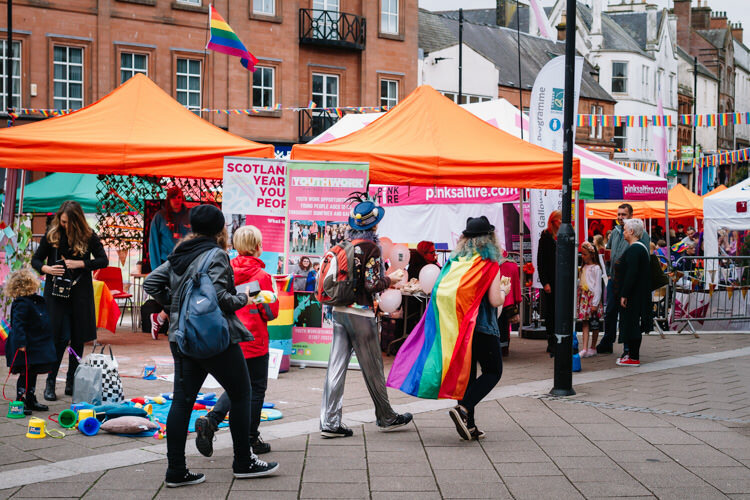 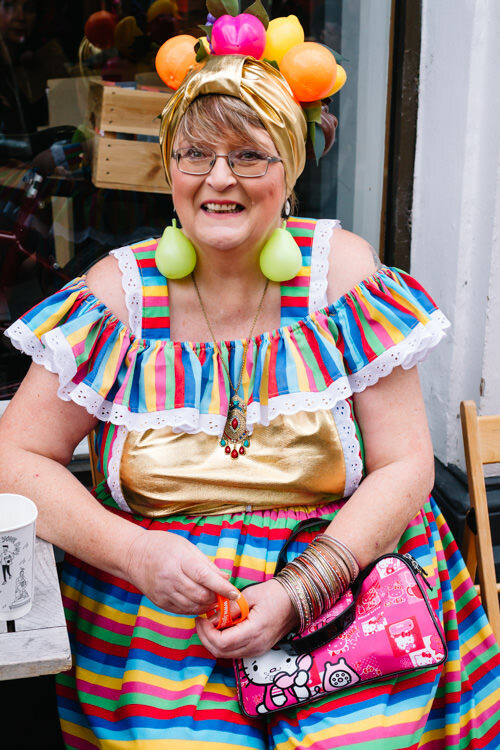 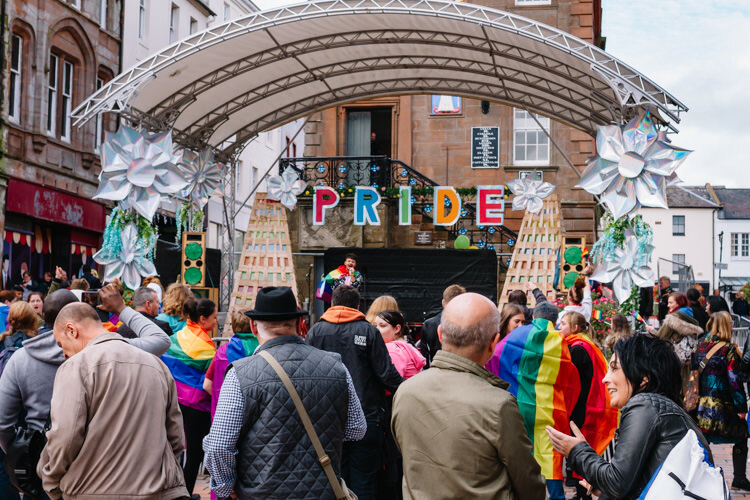 The queer extravaganza party spirit took over Dumfries town centre as flocks of people wearing rainbow banners danced and cheered musicians on the Plainstanes stage. 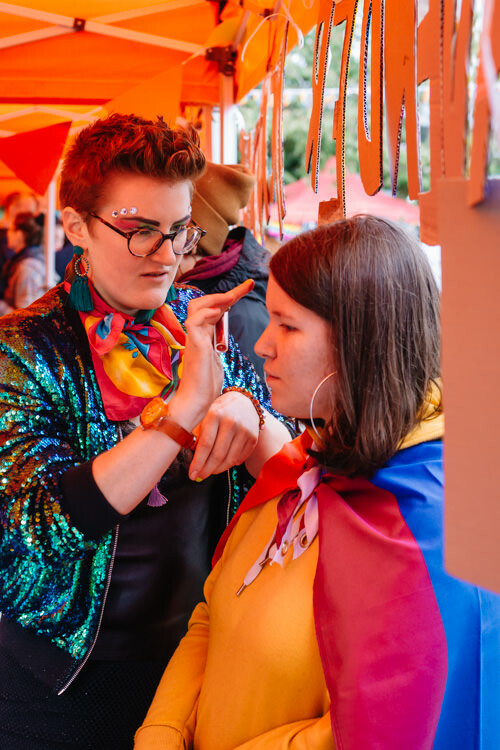 A colourful Pride Village, decorated with bunting, was built outside the Stove where glitter-clad volunteers served drinks, one could have crystal make up applied and pick up LGBT-related information from the stalls. 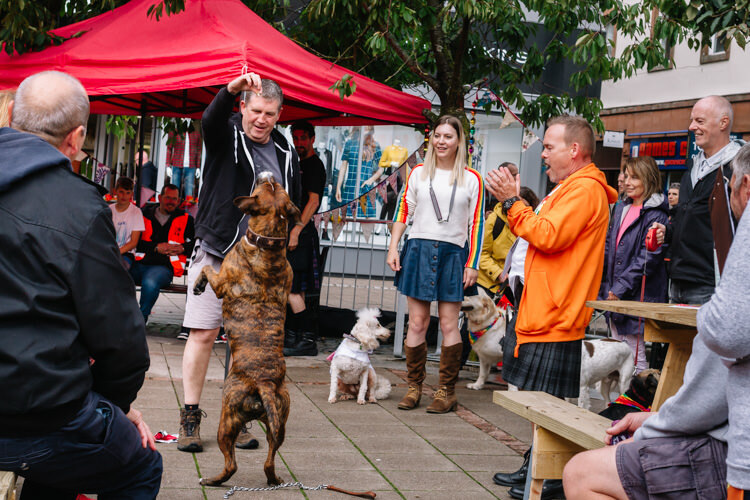 More importantly (ha-ha) it was a place where the Pride Pooch competition took place. 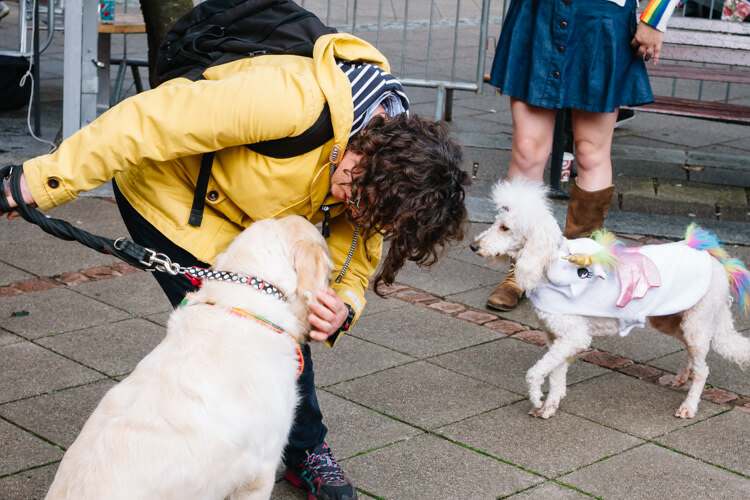 As I am partial to dogs, it definitely needed to be documented! 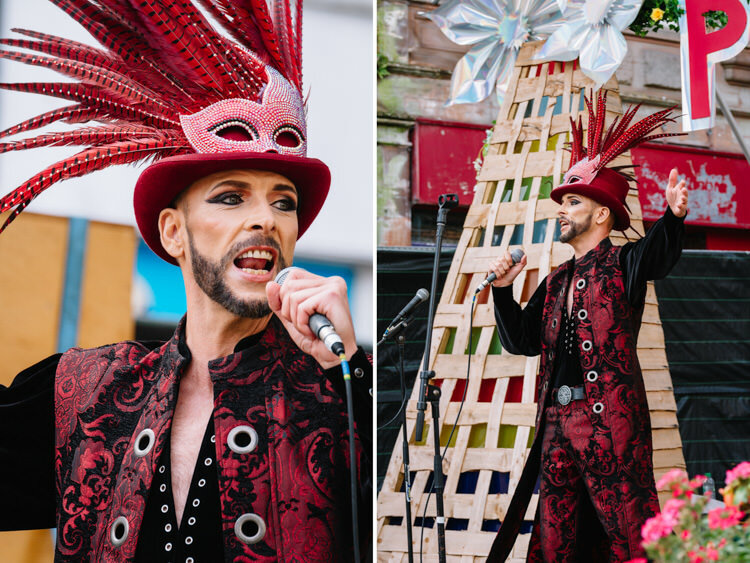 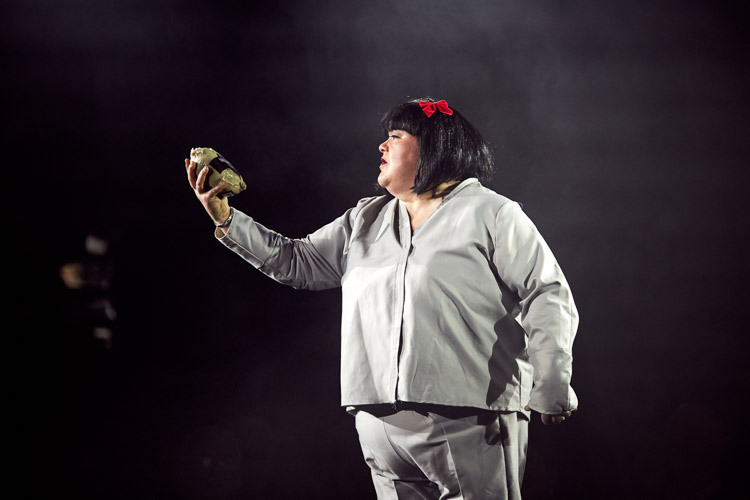 The DG Pride organisers managed to attract some outstanding local and UK performers. 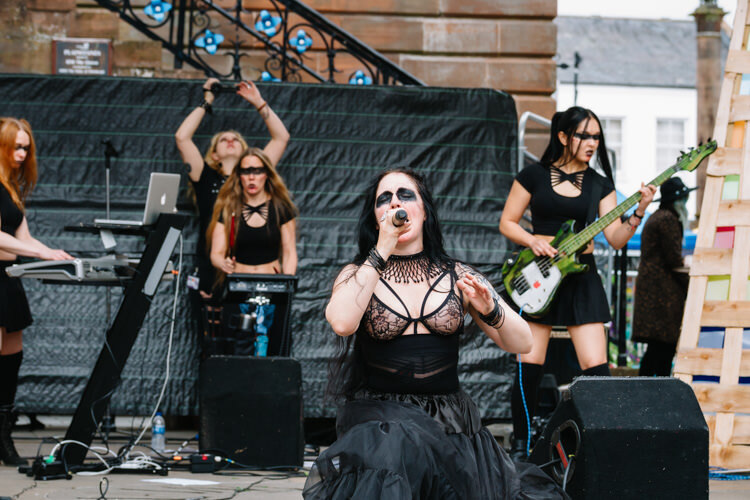 As an urban photographer, I loved the Gothic eccentricity of the dark electronica band KROW. 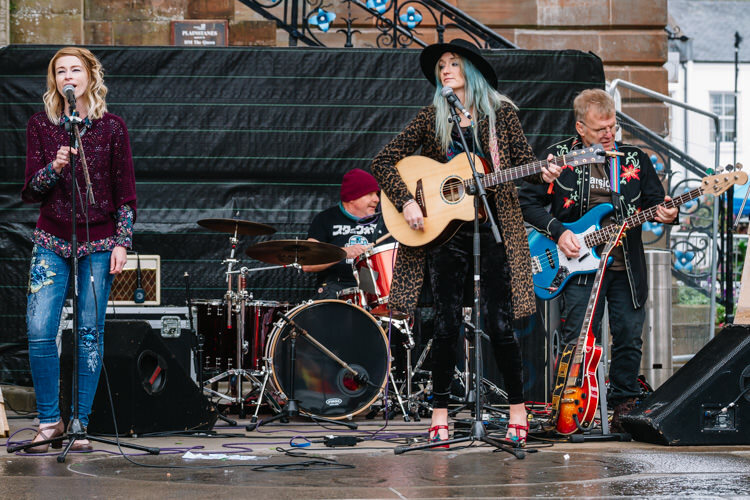 It was the first time I had a chance to listen to a wonderful local band Ward and Watson. 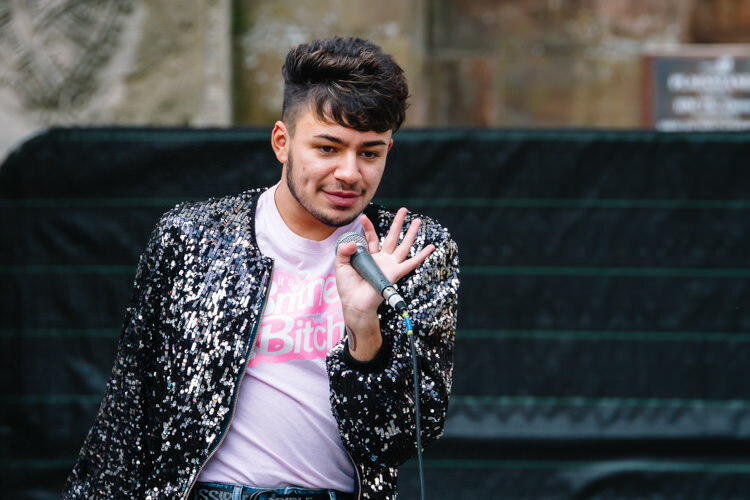 I enjoyed Channy‘s vocals, Smashby‘s pop dance moves and Ross Alexander ‘s delivery of Doctor Doctor. 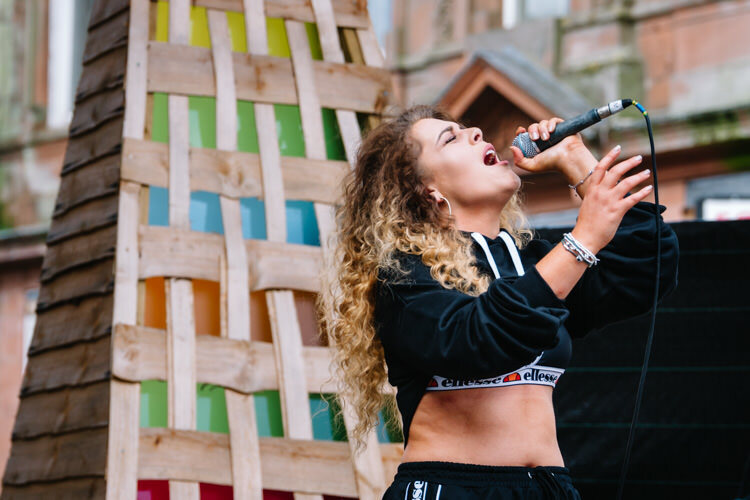 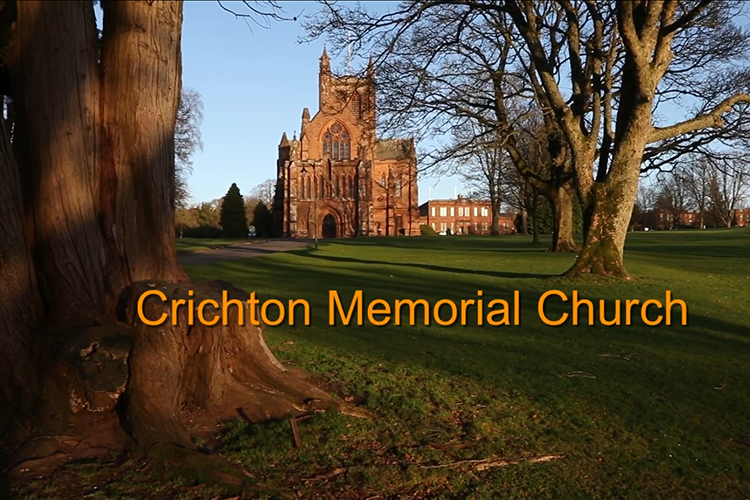 The whole event was a fantastic blend of star-studded lineup of music acts, enthusiastic Doonhamer community activism and prominent support from public organisations and government agencies.